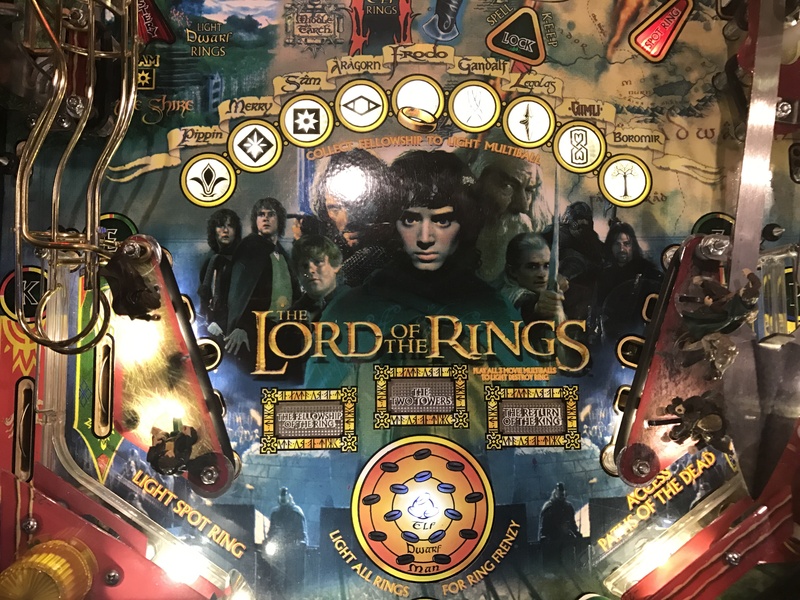 If you’ve ever thought about owning a pinball machine, one of the ones that will be at the top of a lot of people’s lists will be the Lord of the Rings pinball machine. Based upon the classic movie trilogy, the game features all the music, sounds, art, etc that everyone loved about the movies. I first owned one about 10 years ago and recently bought one again because I’ve missed it for a long time. Escape the Ringwraiths: In this mode, you shoot a series of flashing shots to escape the wraiths like in Fellowship of the Ring. Gandalf vs Saruman: This is the battle in the Fellowship in the Ring at the beginning of the movie. You hit shots to battle back and forth until you make your escape. Warg Battle: You have to hit the left ramp first, then hit 6 other main shots. This kills all the Wargs like in The Two Towers. War of the Ents: You have to attack Saruman’s Tower and then release the river to complete this Two Towers mode. Shots to the left tower are what are needed. Attack of Shelob: You have to hit alternating left and right shots to escape the spider like in Return of the King. Kill the Witch King: You have to combo either left ramp/right ramp or right loop/right ramp 4 times to win this Return of the King mode. It is extremely difficult, you’ll almost never complete this mode. If you can start all of the modes, you’re rewarded with the mini wizard mode There and Back Again, which is pretty awesome. I won’t spoil anything for those that haven’t been there. To go along with the modes, there are 3 main multiballs, one for each movie. The Fellowship multiball is based up on getting them across the bridge before the Balrog catches them. You start the multiball by collecting the 9 people involved in the Fellowship of the ring ( Pippin, Merry, Sam, Frodo, Aragorn, Gandalf, Gimli, Boromir, Legolas) by shooting their associated shot. Boromir is typically the hardest to obtain due to needing 20 pops to qualify him. Once you’ve collect the 9, you can shoot the left loop to Barad Dur to start the multiball. Once in the multiball you have to shoot Balrog follow by a left or right ramp shot. This gets a member across the bridge. The Two Towers multiball is about defending Helm’s deep while the orcs attack until Gandalf arrives. To qualify it, you must lock three balls on Aragorn’s sword by spelling lock via the lanes. It’s basically an “all shots are lit” multiball where every shot you hit continuously progresses you towards Gandalf arriving. It’s the easiest of the three multiballs, once you get good at the game you will regularly be completing this multiball. The Return of the King multiball is about climbing the 7 tiers of the city to the top to save everyone. To qualify it, you have to collect 5000 souls from the path of the dead, which isn’t always easy. You basically have to hit 4 core shots 7 times (28 shots total) in order to scale Minas Tirith to the top to save everyone. This multiball is extremely difficult to complete, I’ve only done it a couple times. Anytime you complete a multiball or mode you are reward with a gift from the elves. The gift is one of 6 different prizes on the left hand side in the shape of a 6 sliced pie. There are a lot of good rewards so it pays to win them. That’s really it though, if you like the theme it’s really a hard game to beat. I’ve installed a Color LED display in my Lord of the Rings pinball machine. Honestly though, I think I’m going to switch it out for a Color DMD, I don’t really care for the triangle dots, they’re too bright and spaced apart too far. I wouldn’t recommend Color LED for this particular game, I don’t think the color scheme goes well with it. There are a bunch of other mods available for the game. These are things like a shaker motor, path of the dead ghosts, a Palantir that looks like the eye, etc. I personally don’t like too many mods on my games other than shakers and subwoofers. This particular Lord of the Rings pinball machine I bought just happened to have a bunch of mods already installed when I got it. I actually don’t mind the speaker rings, they do kind of go with the game pretty well. 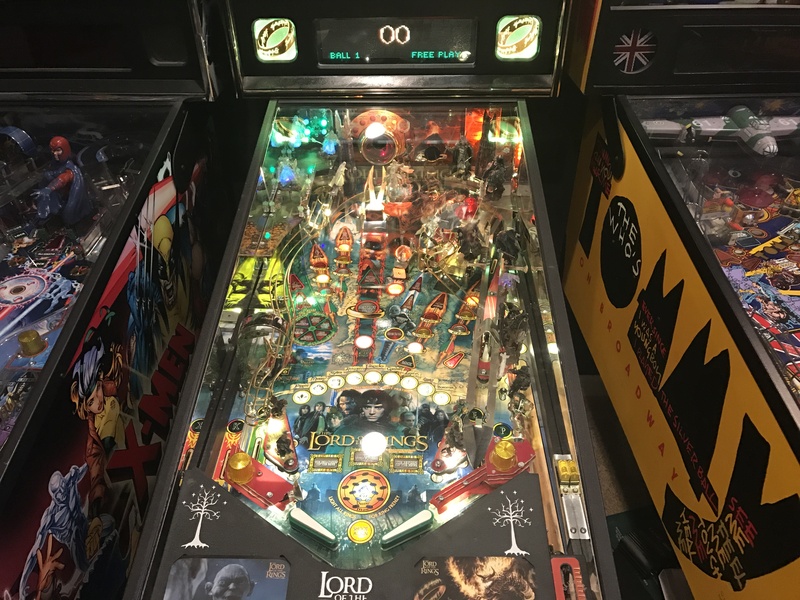 Lord of the Rings pinball also appears in my list, Best Pinball Machines for home use article.